I kept a close eye on Robin’s excited Facebook posts as she completed her novel Reduced, began the Query process, had a contract offer, published her paperback, and released the ebook version. When my copy arrived in the mail, I opened it eagerly and plunged into a world filled with political tension and deadly biological weapons. I spent the next 300-plus pages living on the brink of disaster with a small band of determined resisters (mostly female!) in an abandoned woodland camp. When I reached the end, I tracked down author Robin Tidwell to find out more about her journey. »Q Is this your first novel? When did you first begin work on it? Well, yes, in a manner of speaking. It’s the first one completed, although I have a family saga I’ve been working on for several years. »Q Are the locations used all real, or are some entirely fictional? Yes, the locations are real, although not all are named. The camp, for example, where most of the story takes place, is not named – but for those familiar with the area, or the camp itself, it wouldn’t be difficult to guess. It’s still in operation, in real life. The highways and roads are real, as are some parks, the city of St. Louis, naturally, and some of the buildings mentioned. »Q Are any of the characters based upon real individuals, friends or family? Not specifically, no. More of an amalgamation of quite a few people that I know or have known. Some will see themselves in particular characters, and they might be partially correct! »Q Tell me a bit about your Query and Publish experience. For instance, the contract you declined. Do you have an agent? I do not have an agent. That was my query process. A friend mentioned me to her publisher, and the publisher asked for a query. The entire thing took about a week, but in the end I turned it down. »Q Do I understand correctly that you own a bookstore? If so, tell me how that helped (or hurt) your journey to publication? Yes, All on the Same Page Bookstore. I’d say it made me more eager to finally get into print, although it did take up some time that I could have used to write. Not much, but some. I write when inspiration hits, and sometimes those two hats I wear don’t coordinate very well! Then, too, there is the war between bookstores and Amazon; those two hats have to be interchanged pretty often! 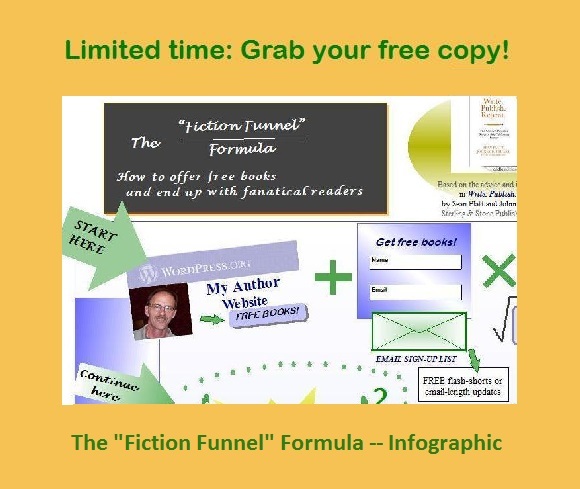 »Q Can you elaborate a bit about the eBook publishing process, as you experienced it? Advice for others? Warnings? Oh, yes – any “publisher” who asks you to pay them one single dime is NOT a real publisher. They may not do a lot for you, marketing wise, but if you have to pay for anything it’s a vanity publisher and, in spite of their claims to the contrary, they will indeed publish anything. As for E-books, the formatting isn’t too difficult; if you also self-pub on CreateSpace in paperback format, they take care of the E-format. The paperback work, though, is a pain in the rear and somewhat time-consuming. My husband, bless his heart, took on most of the day-to-day running of the bookstore so I’d have more time to write. We work really well together, as long as we’re doing different things – and sometimes in different places! He pestered me to get it done, along with our youngest son, and so I did. I used a template on CreateSpace for the title and author boxes, but replaced the photo with my own. 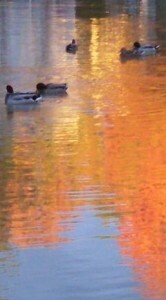 It was actually taken at one of the locations in the book. »Q What’s next? Can your readers look forward to a sequel, or something related? The next novel is REUSED. I hope to have it out in December, around the 15th. It’s a sequel, yes, but introduces two new characters and, well, brings back a couple as well! »Q What’s the most important advice you can offer to other aspiring authors who hope to complete a novel of their own? Part of my business is advice, so I hand out a lot of it! But what it boils down to is this: just write the book, query, don’t stress the little things, don’t wait forever for answers, and again — just do it. Thanks for your time, Robin! 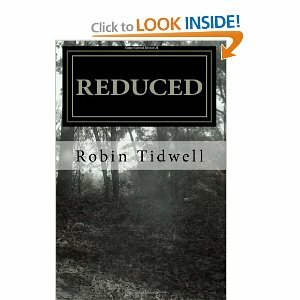 See what readers and peers are saying about Reduced on Robin’s website. Are you a newly-published author? How do your experiences compare with Robin’s? Tell us more in the Comments section, below. I had the honor of being a beta tester for the book. I can’t wait for the sequel. As soon as it was available, I downloaded it to my Kindle. Terrific story that stayed with me long after I finished the book. The more I heard in advance from beta readers like you, Ann, the more I couldn’t wait for Robin to publish. I have my very own signed copy right here, and another on the Kindle. Thanks for dropping by, Ann — miss talking with you, lately. Hope you and yours are doing well! I read it and loved it, even though it isn’t in a genre I normally read. That says a lot – I couldn’t wait to see what would happen next, and am looking forward to the sequel. Way to go, Robin!